When you visit the UIS Food Emporium, you'll often see Eric Chrans moving from area to area, helping his co-workers, chatting with diners, and helping out students with questions. He exudes friendliness and is always ready to lend a helping hand. 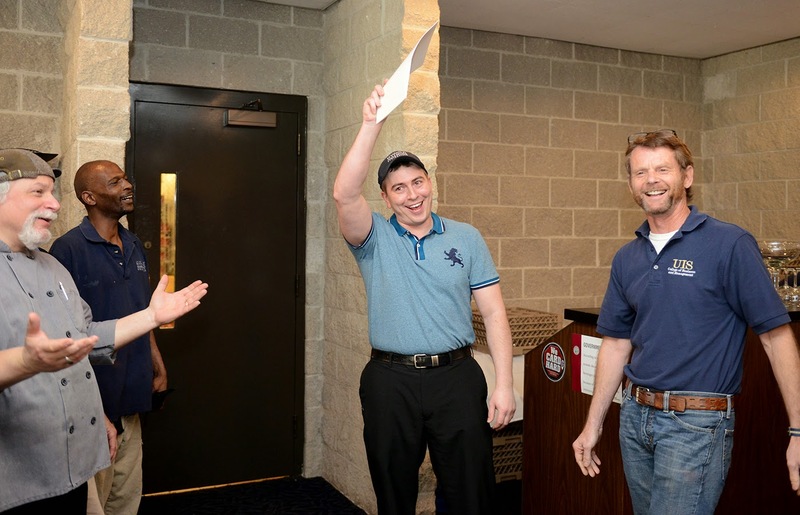 For these reasons and more, Eric is the University of Illinois Springfield Employee of the Month for April. Eric's supervisor calls his dedication to the job remarkable. "Eric will always work whatever hours are necessary to see that our students and customers are provided the best possible service and experience," his supervisor writes. His nominator also praises Eric's demeanor, and his willingness to go beyond his job duties to help his colleagues. "Eric's primary concern is a pleasant customer service experience for all students, guests, faculty, and staff that visit Food Service areas at UIS. He remains calm when a large number of unexpected patrons come to the Food Emporium and works with his staff to make sure all their needs are met," his nominator writes. "Even though he is a supervisor, he is not afraid to get in the trenches and do what needs to be done to make Food Service operate smoothly."